These sentiments are not theirs alone. 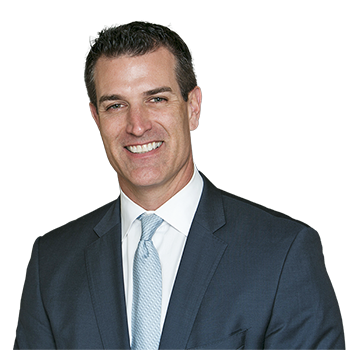 Daryl�s clients routinely offer rave reviews of his service, knowledge and tenacity. He excels in helping buyers and sellers navigate the hurdles and details of real estate. Daryl prides himself on working ethically and keeping his clients� desires and interests at the forefront of the transaction. With a background in corporate sales and marketing, he is a gifted negotiator and known for remaining graceful under pressure � a true asset in this aggressive, often confusing market. His clients describe him as focused and knowledgeable. He feels fortunate to work with a diverse population � from a myriad of backgrounds, purchasing choices and professions. Daryl still finds utmost joy seeing the look of satisfaction on a buyer�s or seller�s face when the right deal is made. Buyers cite his ability to tune into their needs and his passion for searching out their dream property. Sellers point to his flair for marketing and scrupulous attention to detail that keeps his deals moving forward. Daryl continues to become one of the Washington Metropolitan area�s top agents as he works with his business partner, Kimberly Casey. This partnership is grounded in a mutual understanding by providing the highest level of customer service. Devoted to their clients, Daryl and Kimberly have the extraordinary ability to negotiate and creatively find solutions to achieve their clients� needs and goals. They have demonstrated the importance of confidentiality and are known for sincerity and honesty in all negotiations. Daryl and Kimberly have developed a reputation for working hard, listening well, knowing the market thoroughly and making sure their clients are completely satisfied. I can�t imagine trusting my search for a new home to anyone other than Kimberly and Daryl. Apart from their remarkable knowledge of the market, their efficiency, experience, and professionalism are unparalleled. Even after closing, their commitment to ensuring a smooth transition to my new home was remarkable. Kimberly and Daryl have my highest endorsement. Kimberly and Daryl did a fantastic job selling my loft in what has to be one of the hardest markets for selling condos for years. They priced it perfectly and went to incredible lengths to market it over a number of months. They never waned in their efforts to sell it and held a number of open house to encourage interest. I was delighted and frankly quite surprised to get a full-price offer in this market given how rare it is at the moment to get that for condos, but they managed it! The closing was handled efficiently and went without a hitch. Both Kimberly and Daryl are a joy to work with — professional, dedicated, knowledgeable and total darlings on a personal level! Daryl Judy�s customer service is beyond reproach. From first finding suitable places to view all the way to the closing, he is the best at follow-thru I have ever seen, in any business. There was not a time I could not be in contact with him, and he was diligent about contacting others on my behalf regarding information I needed. I am glad I had him working with me in my first home-buying process. I am pleased to add my voice to the many customers who sing the praises of Daryl Judy for his professional attributes in selling real estate. My wife, Diane, and I approached Daryl early in 2009 with the notion of searching for a weekend home to purchase on the Western Shore of Southern Maryland. We knew a little bit about the area and wondered if it was a good time to start looking at houses. Daryl asked pointed questions, made an assessment of our needs to accommodate our family of five and developed a computer matrix of potential locations and homes. He was tireless in his efforts to respond to our queries, pursue leads and specifics on potential locations and homes, and travelled with us on a number of occasions to walk through prospective real estate. When you sign on with Daryl, you get his all-encompassing enthusiasm coupled with his acute knowledge of real estate and its trends. With his guidance, we finally identified the perfect weekend home, he advised and helped to structure a winning contract offer, and he held our hands as we pursued the often-tedious mortgage application and closing process. What began as a bit of a whim quickly evolved into a well-orchestrated search for a desirable second home. Only with Daryl�s professional acumen and constant attention would we have had the confidence to pursue such a purchase. We totally embrace Daryl for all of his efforts and would highly recommend him to anyone seeking his professional real estate services. Let me start by saying that Daryl Judy is awesome! Daryl sold my house in one week during a difficult market, and he found me an amazing home to purchase that wasn�t yet listed. He is the consummate professional. His advice is spot-on and he knows what it takes to sell a home in a hurry. Daryl�s listening and negotiating skills are outstanding, and he will work tirelessly to help you find the right home. And he will work skillfully and tirelessly to make sure that you not only get the home of your dreams, but you pay a fair price. I can�t speak highly enough about Daryl�s work ethic, talent, professionalism, and honesty. Like I said, he is awesome! My husband and I moved across the country to Washington, DC, last summer and were looking for a �seamless� move. We were aware of the fact we might need intermediary housing while we searched for the home we wanted to purchase but really were looking to simplify our lives and move directly to the home we wanted to purchase with no temporary rental and all that entails. We flew out to DC with 3 days to find a home and wanted a go-to realtor. From the very beginning of our contact with Daryl, he proved to be that realtor. He responded quickly to emails and phone calls and paid attention to what we were saying. He offered guidance but was flexible in showing us places we wanted to check off, even though they may not have been optimal. Best of all, Daryl is tireless. With his organizational skills, we saw more houses than we could have imagined possible in those few days. After we found the house we wanted, Daryl continued to show his professional skills, guiding us through the closing. Thank you Daryl! We had been trying to sell our house on and off for more than two years in a down market when we met with and hired Daryl to list the property. Daryl immediately came up with a proactive marketing plan and a pricing strategy based on the input of 15 or more agents and brokers. The result was that we had a contract on the house in less than two weeks for close to 100% of the list price. Daryl worked very hard throughout the process to make sure that all contract and closing issues were dealt with promptly and professionally. Finding a home can be a challenge, but finding a home in a new city is an even bigger challenge. As we were relocating from another state, we needed not just an Agent, but a �Washington Pro� who knew not just the market but the neighborhoods and vibe of the city. We�re glad we found Daryl Judy. His knowledge of both the housing market and the intricacies of each neighborhood helped us find the right home in the right location; both are essential when making a purchase. Daryl remained patient with us, guided us professionally, and worked his magic during the contract phase. We�re in our new home, in a new city, and are off to a great start. Thanks, Daryl! Daryl is thorough and diligent. When I was moving from New York to DC, he made my transition smooth. Quick to understand my needs and taste, he helped me to find an ideal place within my budget. He familiarized me with the neighborhood and introduced me to professional contractors, which was a great help for someone coming from another state. My experience with Daryl was a pleasant one. I honestly cannot imagine having to navigate the purchase of my first home without the invaluable assistance of Daryl Judy. From the outset of my dealings with him, Daryl displayed an uncanny knowledge of the D.C. market and applied that knowledge to help meet my needs. He educated me on the importance of the purchase, i.e., that I was making a thoughtful investment, financially and personally, as opposed to just buying a piece of property. Without question, throughout my dealings with him, Daryl worked extremely hard to help find me an affordable property that I loved. Even now, long after the closing, he continues to offer insight, helping me locate anything from good local restaurant options to reputable landscape companies. His energy and professionalism are atypical in today�s world, and I would recommend him to anyone. Daryl Judy�s strategy works! Daryl helped us sell our condo in this tough real estate market. It was amazing; one day after the open house we had offers! And closed just a few weeks later. What is most amazing is that in our condominium community nothing had sold in over a year, and we were concerned because many condos just sat on the market. Daryl evaluated our situation, presented a strategy and we were happy to be in such good hands. We strongly believe that the reason our sale was so successful and speedy was because we followed all of Daryl�s recommendations. His strategy was to complete all the repairs and electrical work, update the fixtures, and re-paint the entire condo a soft neutral color prior to the open house. The last and possibly the most important step was hiring a professional stager to turn our empty condo into something beautiful and sophisticated. It looked so nice right before the open house, that we were joking we wanted to move back in! Daryl�s methodology for selling houses in this tough market works! I cannot express what a pleasure it was to work with Daryl Judy. Daryl was my agent for both a purchase and a sale. He approached both transactions with patience and determination in what proved to be a scary market. He consistently kept my wants and preferences in mind. I have recommended Daryl to several friends and will continue to do so. Daryl and Kimberly are truly an asset to the DC market and their clientele. Daryl was with me every step of the way — from identifying great options, to developing a successful bid strategy, to suggesting a handyman after I had bought the condo. I couldn�t have done it without him and couldn�t be happier with my house (unless, of course, it were in Texas). Daryl was fabulous. We were immediately impressed the moment he walked in our door and started talking about how he could market the house. Within two days he had the house photographed and the website running shortly thereafter. As if his witty sense of humor and good nature weren�t enough, we received a full asking price offer within four days of the house officially going on the market. Housing crisis?!? Not if you�re using Daryl and Kimberly. They are delightful. Daryl and Kimberly make a great team and helped me consider every aspect of my move. Using their abundance of local knowledge, they helped me find the perfect neighborhood as well as my first apartment. At each stage of the process and even after closing, Daryl and Kimberly continued to check in with me about my move. Their personal attention made all the difference. Daryl has been an invaluable partner on our home quest. He was very patient in helping us select an area, very focused on finding the right house, and very strategic when it came to closing the deal. We had some issues at settlement, and Daryl was a calm yet forceful advocate on our behalf. I highly recommend Daryl to anyone looking in the competitive DC area. If only every home-buying experience could be as rewarding as mine was! I know I have Daryl to thank for the ease of the process and the quality of the end result. He commanded such knowledge of the market, took a personal interest in finding me the perfect first home and executed the process with such a great sense of professionalism. What is even more impressive is that Daryl has continued to take an interest in making sure I am just as in love with my place now as when he first showed it to me over a year ago. Without reservation, I would recommend Daryl to anyone looking to buy or sell a home in the DC area. Working with you both was a pleasure. You are both so professional, in tune with the market and able to focus on what needs to be done to accomplish the at-times overwhelming goal of preparing a house for sale and then advertising and finding the right buyers. Throughout the whole experience you both advised and helped me with everything that needed to be done, and we all even had fun doing it! Your ability to handle all kinds of personalities and situations was remarkable. You always helped me not to be discouraged when the house wasn�t selling as quickly as we would have liked and you prevented us from making any rash decisions. I am so glad the project is over but will miss working with you both. Thank you again and all the very best in the future. I have to admit I was most impressed with the speed and efficiency at which Daryl Judy worked to close the deal on my first home purchase. I had been renting in Northwest DC for a year, and prior to the expiration of my lease I knew I wanted to buy a house. I spent the summer months aimlessly wandering from open house to open house looking at all types of homes, some starting in the mid-300s and some starting at over 3 million, curious to see how much money would buy what. The trouble was that I did not know exactly how to �buy� a house. I was lost. Every time I thought I saw the home of my dreams, I found out the house was under contract or already sold. �How did those people make an offer so quickly?� I thought. �Why is this process so complicated?� I lamented. �Who can answer all my questions?� I wondered. These concerns and many others were resolved once I spoke to Daryl Judy. I did find the perfect house on a Sunday and first spoke with Daryl the following Monday. By Tuesday we had a completed and signed offer to submit to the Selling Agent. I was amazed that the dream of owning a home was becoming a reality but was more amazed at how quickly and easy Daryl made the process. Daryl took the stress and guess work out of purchasing a home. His professionalism was exemplified by visiting me at my home on short notice to coolly and confidently explain the steps we (and I really mean �we� — myself, Daryl Judy, and the firm's reputation) would be taking to draft an offer. His expert knowledge of current market conditions and Seller attitudes was instrumental in advising exactly how much escrow to put down initially, how to draft a convincing cover letter, and, ultimately, how to structure my bid so that during the tumultuous escalation process my bid came out on top. My home did not cost $3 million, but I was treated as if it did. Their firm is a professional institution that really looks after all its clients. I could count on the reputation and tradition of excellence to make the process of buying a home actually, well ... ENJOYABLE! I would recommend Daryl to anybody who is serious in purchasing a home. Kimberly Casey and Daryl Judy did a fantastic job selling our home in February 2007. They sold our home in one day, which truly says it all. Not only did they sell it in one day they sold it during an ice storm during the brokers' open and a snow storm during the open house. It was literally the only two days that Washington, D.C., had snow in 2007. While I believe we had an exceptionally lovely home (of course we are biased), Kimberly and Daryl took the time to prepare our house so that it would "show"� perfectly. They came over to our house prior to the photo shoot for the brochure and helped us to organize our furniture, bookshelves and closets. I was pregnant at the time, and they both physically helped me to move books from our bottom floor to our top floor. This was really an example of going above and beyond the call of duty for a broker. In addition, we had some extenuating circumstances with our relocation to Hong Kong and needed to rent our house back for five months. They professionally negotiated a deal with the new buyers that was exactly what we requested. We couldn�t have been more pleased with Kimberly and Daryl. In fact, our relocation to Hong Kong was canceled and we used them to help us rent an interim house and we will use them again to help us buy our new home. I couldn�t have been happier working with Daryl to sell my home. I told him how much I wanted for it — a stretch goal — and he got me an offer for the full asking price without even having to go through the burden of listing and showing it. He also was very attentive for a high-maintenance customer like me. His experience and connections in the industry gave me confidence I could trust his advice and rest easy that I was getting the best deal imaginable. Buying a home with Daryl was a wonderful experience. It is a treat to work with someone who takes the lead and works on his own without constant input and course correction. I was surprised by the breadth of knowledge he commands in his field. Daryl works very hard, going far beyond what seems like a normal effort to ensure the best outcome for his clients. Daryl listens to what you want, knows his business and makes perfect recommendations and decisions. Daryl kept me on track to the best option despite my indecision and worries. I trust Daryl wholeheartedly and take his advice and opinion against my own impulses. I have no reservations at all to recommend buying or selling a house through Daryl. It can be a difficult stressful endeavor to buy or sell real estate, and my recent transaction, in which Daryl represented me, was seamless and honestly stress-free. Thanks for your excellent work in selling my Washington, DC, row house. A number of realtors I contacted prior to contracting with you swore that I would never get anywhere near my asking price, but you proved them wrong. Your marketing strategy and assistance in getting my home ready for �sale� was invaluable. I got my asking price in no time. That made me awfully happy and allowed me to go on to my new home. You are a great agent!! I had the good fortune of meeting Daryl when he arrived on behalf of another WFP agent to show me a Georgetown home that had piqued my interest. I fell in love with the place, and was so impressed with Daryl�s professionalism and depth of knowledge that I asked him to represent me as the buyer�s agent — and write an offer that very day. He saw me through the process with tremendous insight, patience and attention to detail, and he dealt with the arduous process of obtaining FHA approval on my new property with grace and good humor. He was so successful in managing my offer that I got my dream home before it even went to open house. I would highly recommend Daryl to anyone looking to purchase a home — his trustworthiness, attention to detail, knowledge and professionalism are second to none! Daryl Judy had been recommended to me as someone who knows my neighborhood inside out. He quickly understood the home I wanted and was able to identify the right home before it went on the market. He anticipated every step I needed to take and helped make it happen. Daryl got my home ready for sale in record time and found a buyer within a week in a slower market. He sees important details, is 100% responsive, and relentless for results. When we began looking to buy our first home, we were fortunate to have Daryl by our side throughout the process. With Daryl, we had a trustworthy advisor, an organized and knowledgeable expert on the local housing market, and a highly skilled negotiator. Thanks to Daryl�s efforts we found a house we now call home. We are thankful for Daryl for his hard work on our behalf. Daryl clearly understood we had a tight time frame in which to sell our home due to our relocating. In fact, our home was on the market just six days later! But it wasn�t done haphazardly. He took the time to ensure we were comfortable with his sales strategy, marketing materials, and showing schedule. His knowledge and skills helped sell our home in just four days. Daryl�s professionalism, positive attitude, and constant communication made the entire process painless. And it only took him six days to get it on the market! By the time we met Daryl Judy and Kimberly Casey we had been looking for houses in the DC area for three years � two years casually and one in earnest. It had been a very frustrating experience to say the least, even after the market had slowed. When we finally found what we had been looking for, we were not alone; two others bid for the house in the first week the property hit the market (before the open house). How much should we bid? Do we need an escalation clause? Up to what amount? What contingencies? Through Daryl and Kimberly�s expert knowledge of the market we were able to put in the winning bid and bring our long quest for a home to a close. Looking back, we are convinced that had it not been for the guidance Daryl and Kimberly provided, there is a very good chance that we would have missed out on this opportunity and we would still be spending our weekends at endless open houses. On a personal level, Daryl and Kimberly are both a delight to work with. They were extremely helpful, responsive and highly professional. Even after we closed, Daryl and Kimberly continued to give us excellent recommendations for all sorts of contractors and related new homeowner advice. We would strongly recommend Daryl and Kimberly to anyone looking to buy or sell a home in the DC area. Working with Daryl was exactly the experience I was hoping for. He helped me sell my house and less than a month later helped me buy a new condo. In both cases he managed all the details, kept me posted on where I needed to be and when, was clear on what information I needed to get and share, and guided me through all the big decisions with a steady hand. I had considered using ForSaleByOwner.com to save myself money but opted not to. After going through this process, and seeing just how many headaches Daryl took care of for me, or helped me avoid altogether, I know I made a very smart decision. I am a bright, capable person in most things, but I doubt I could have navigated the process to such a great outcome without working with Daryl. I have worked with other real estate agents in the past, both for purchasing property for myself and for investment purposes. The other agents were helpful and knowledgeable but did not take the time and effort to figure out how to work with me the way Daryl did. He listened to my need for simplicity and managed the process in such a way that minimal effort was required on my part except for the few critical decisions. I highly recommend Daryl to anyone who is looking for peace of mind (as much as possible when making transactions of this magnitude! ), attention to detail, outstanding local real estate knowledge, and sound pricing advice. Daryl is the realtor of our dreams. He is extremely professional and coached us through the selling of our home to great result. We granted him our trust and followed his process. Everything he said would happen did happen. We could not be more delighted with him and the outcome of the transaction. In July 2011 our house sold after only two days on the market for well over the asking price due to a bidding war among four prospective buyers. We attribute this result to the successful marketing strategy devised by our listing agent, Daryl Judy, and his partner, Kimberley Casey, of Washington Fine Properties. We recommend this team and the company without reservation. Daryl has a well-developed vision and refined aesthetic sense, and his guidance was invaluable to our rapid and successful home sale. As homeowners, we were blind to some of the drawbacks of our house, but Daryl offered extremely helpful suggestions to stage our home, including furniture arrangement, paint colors, and even improvements to the garden. He is tactful but persistent because he knows what can make a difference in attracting prospective buyers. Daryl is a natural communicator and kept in close touch with us throughout the entire process from listing to closing. Since we were first-time sellers, we really appreciated his hands-on approach and almost daily e-mails and phone calls to guide us through each step. He answered all of our questions and provided essential advice during the bidding process so we could evaluate each of the multiple offers we received. In addition to his professional expertise as a realtor, Daryl�s patience, humor, and empathy really helped us get through the high-stakes emotional process of selling our home. At first our expectations on sale price were rather tempered as we knew we had something special in our old Victorian, yet we weren�t quite sure how to put our best foot forward come the time of sale. We had just had our first child over the summer and our house had succumbed to a maze of clutter and bulky furniture. Kimberly and Daryl came to look at the house and immediately they put in place a strategy. They saw the potential and set forth maximizing it. It started with a de-cluttering, which helped to free up valuable space that we know is a premium in DC. They wanted the house to appear much lighter, as it showed somewhat dark. They recommended changing out the dark butcher block kitchen countertops with Carrera marble. Immediately the kitchen took on another level in keeping with a house worthy of being sold by WFP. They recommended removal of the bars at the bay window at the front. Honestly, the house took on a more regal look right away. I couldn�t help but wonder why we hadn�t done this earlier. The last piece of the puzzle was the staging that they helped to sell us on. The stager brought in more appropriately sized furniture and, most importantly, helped show potential buyers that the second room upstairs could, in fact, be a bedroom. After this, Kimberly and Daryl set forth in properly marketing and getting the word out on the house via all available outlets. The result was an open house that attracted close to 80 people. We couldn�t be happier with the results. The house was under contract in less than a week. Daryl can make a difficult sell look easy. I really appreciate his professionalism, which is demonstrated in his responsiveness, excellent marketing (he can do the staging for you! ), solid understanding of the industry, business sense, and simply by taking pride in his reputation. We were very fortunate to work with Daryl Judy in the process of locating and purchasing our new home in Chevy Chase. Daryl brought a level of professionalism, knowledge, and commitment that far surpassed our high expectations. He was a trusted advisor and advocate for our best interests. We offer our most unreserved recommendation to anyone looking for a new property. Daryl was beyond compare. Daryl Judy of Washington Fine Properties was our realtor when we moved from Rockville, Maryland, to Washington. However, he was much more than that. Daryl went to incredible lengths to help us find a house in the city that immediately become our home. Daryl was patient and wise in advising us as we transitioned from a large house in the suburbs to our townhouse on Capitol Hill. He used his extensive knowledge of the D.C. real estate market to guide us to the best neighborhoods in the city that fit our desires. He truly listened to us and then tirelessly found numerous possibilities for us to consider. As we narrowed our search to the Eastern Market neighborhood, Daryl was amazingly diligent in pursuing a fair deal for us in negotiating with some difficult potential sellers. In addition, Daryl�s eye for style was superb. There are details of our new house that Daryl immediately noticed that we have only later come to appreciate. Throughout the entire process from our first meeting to closing, we really feel as if Daryl was a strong and powerful advocate for us. In summary, we enthusiastically recommend Daryl Judy for any family or individual looking for a new home in the D.C. area. He combined a solid knowledge of the real estate market with a tireless work ethic to bring us a wonderful home. I met Daryl Judy during an open house he was hosting in Georgetown, and when I mentioned the type of house I was looking for, he immediately showed me a listing of all transactions in the area for the past six months as well as current listings, which I found very helpful. He offered to show me houses that potentially met my needs and we met quite a few times looking at Georgetown homes, including new listings. After several months of less-than-fruitful searching, Daryl encouraged me to see a few of his listings in Kalorama and DuPont circle, and I reluctantly agreed, as I thought I still wanted to live in Georgetown. The home in DuPont was absolutely perfect other than the price, so we decided to keep looking, at least temporarily. When the sellers lowered their price, I received the first call and immediately put in an offer. At that time, Daryl had his very capable colleague, Kimberly Casey, represent me, as he was representing the sellers. Throughout the negotiation of the contract and the inspection they were both terrific, and we received all relevant information on comparables, so that we could judge how our offer stacked up against recent sales. Daryl was especially helpful immediately before the closing, when my insurance agent gave me an outrageous quote at the last minute, and put me in contact with his recommended agent to whom we have transferred all our insurance business. I would definitely recommend both Daryl and Kimberly (who work as a great team) to anyone looking to buy or sell a home in DC. While the thought of putting our house on the market after 25 years was overwhelming, you made the whole process — from start to finish — a very rewarding experience. Starting with staging our home for its best presentation, to expert showings, to impressive open houses, we were wowed with the care and professional determination you provided us. All of your extensive marketing efforts paid off as well, with hundreds of potential buyers responding to your repeated advertising campaigns. And in the end you helped us select the best buyer and negotiate the best price for our home! Thank you so much for your support and expert care when we most needed it. My husband and I met Daryl at an open house in Georgetown when we had just started the search for our new home in Georgetown. Daryl�s professionalism, enthusiasm, and detailed knowledge of the area were impressive!! Right there, we knew that Daryl was going to the perfect partner to find our new home. And we were right. Working with Daryl is a joy. He makes the impossible easy. At a time when the inventory of homes was extremely low and houses were being sold in days, he worked with us to identify the perfect home. When the right one finally came, he quickly worked with the seller�s agent to seal the deal. During the weeks leading up to the closing date, Daryl was in close contact, helping us stay on top of the details of the inspection, mortgage financing and advice to make our move-in go smooth. Daryl was a class act throughout the process and stays in touch even after we moved in. Very determined and knowledgeable, and good company to boot. Daryl is an experienced and knowledgeable real estate professional who skillfully guided us through the process of listing, selling, and closing on our home. His advice at every stage of the sales process was spot-on, and he worked very hard on our behalf to get us the best possible price. Largely through his efforts, we realized a final sales price in excess of our asking price! I would highly recommend Daryl to anyone buying or selling in the Washington real estate market. Kimberly and Daryl did an amazing job selling our home in Chevy Chase — the whole process was great, and the house went with multiple offers the first weekend. They were very responsive to us and to potential buyers, they pay attention to all the details, they really know what they�re doing, and they gave us great advice. Selling a house is stressful, and it really helped that they were so easy to work with. Daryl Judy and his partner Kimberly Casey helped us sell our house very quickly. They came highly recommended and we were not disappointed. Their thorough and careful preparation meant that potential buyers were both inspired by the information to visit the house and were not disappointed when they arrived. Their photographer was excellent, and the photographs presented the house as we saw it ... a beautiful historic residence. When an eager potential buyer required a quick turnaround, Daryl gave up his plans to make sure that we had the information we needed to make the deal. They even brought fabulous cookies to our Good-Bye House party! My husband and I have only great things to say about Daryl and Kimberly and recommend them highly. Daryl Judy possesses two qualities I find so rare in realtors today. He is both incredibly knowledgeable of the market and equally passionate about his profession. As a local homebuilder, I have worked with many realtors in the National Capitol Region; I can attest to Daryl�s exemplary professionalism and attention to detail. Moreover, his ability to connect with people and develop trust instantly has been critical to his success in selling homes. I am proud to recommend Daryl Judy. Daryl was a tough negotiator and helped me get an amazing deal on my new home. He also provided great contacts to an architect whom I ultimately hired to do some renovation plans for me. He was very responsive and very personable. Daryl is a very knowledgeable real estate professional who works hard on his client�s behalf. His advice proved invaluable in successfully navigating the sale of our home from listing to closing. Exceeded every expectation I had. Highly recommend Daryl and his team. Daryl Judy is the guy to get it done. He works harder for you and the best outcome than anybody I know. He has an assuring ability to handle the most complex and pressured situations with focus, integrity, and kindness. He is that rare combination of knowledge, persistence, and generosity of spirit. I should also say that I have seen him quietly, and with the same dedication and attitude of respect, donate countless volunteer hours to help DC�s homeless population. We have worked with Kimberly and Daryl on several real estate transactions where he has helped our family either buy or sell a home, and have been very impressed with his expertise, professionalism, and dedication to his clients. We will definitely work with them in the future. My husband and I had the pleasure of selling and buying with Daryl in 2010. He is an outstanding real estate agent who helped us reach our end goals by effectively navigating a challenging real estate market. We would definitely work with Daryl again in the future and highly recommend him to our friends and family. Daryl is a true professional at what he does! He brings a high level of expertise, strategic thought, and attention to detail to all of his transactions. We love partnering with him on his listings because we know he will get his properties sold quickly and for top dollar, equaling success for all parties involved. He has been nothing but a pleasure to work with over the years!